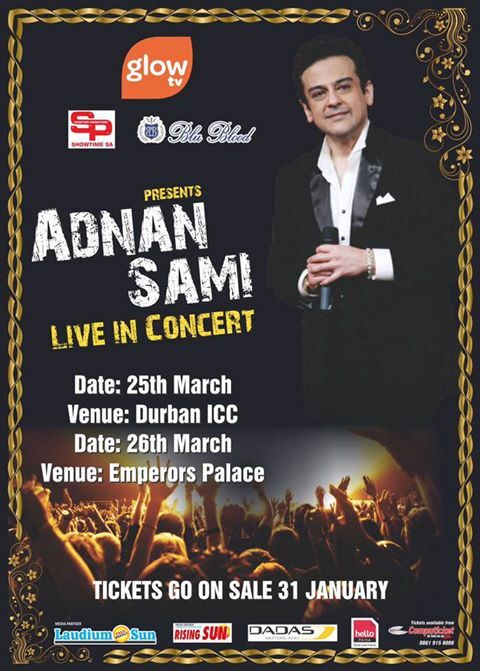 @AdnanSamiLive in concert this March. My daughter Victoria ( @Pixievixie19 ) loves a bit of Bollywood, so I decided this is fitting to share with you, as you may share her interest. Concerts to be held in Durban ICC on 25th of March and Emperors Palace, Johannesburg on 26th of March, 2017. Tickets for the show can be booked at Computicket from R280 per person. What DID impress me is that this man lost 160kg. (!!!!) and can play over 35 musical instruments – including the guitar, accordian, saxophone, sitar and violin. Follow Adnan Sami on Twitter: @AdnanSamiLive. PS. This is not a paid assignment and I purely posted it because my daughter is very cultured in all things Bollywood … and the world needs more people who support the arts. Next Article I am richer for having you.